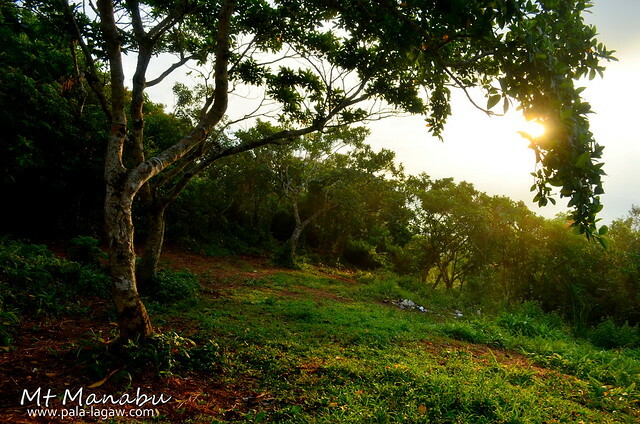 Like a monarch standing proudly, Mt Manabu is part of the Malipunyo Mountain Range as one of its three major peaks. The trails are well established, easy and marked by up to 9 stations circling the mountain. 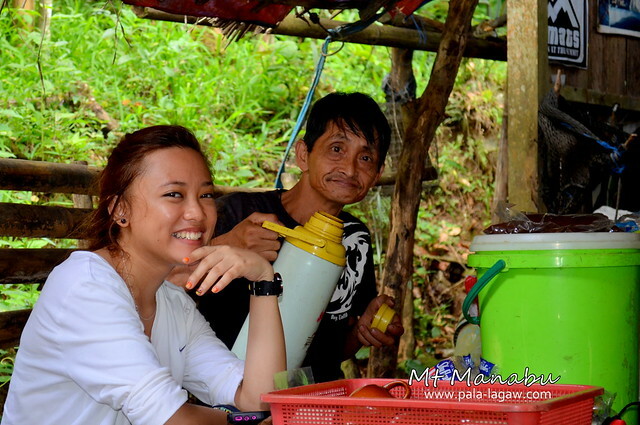 Charming and friendly locals that helps keep climbers hydrated by their offerings of Buko juice along the way, even get a sample taste of kape Lowak or Alamid Coffee brewed by Mang Pirying and his brother Mang Pino while they offer a bargain of their own local coffee produce. 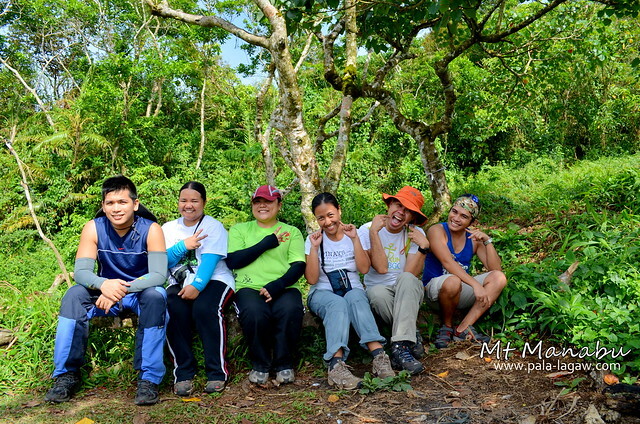 Soaring at 760 Meters Above Sea Level (MASL), Mt Manabu is a minor climb with difficulty of 2/9 and trail class 1-2. Perfect for day hikes or camping overnight. Intending to enjoy the climb, two trails are available to reach the summit, the grotto trail where you can pass a station with the make shift hut and Marian statue of the Immaculate Conception is placed alongside the water source, this trail is longer but fairly easy making the ascent more enjoyable as mostly covered by thick foliage of trees. The other trail is the lubid trail, opposite that of the grotto, marked my ropes placed on steep banks, halfway on this trail is the home of Mang Pirying and his brother Tata Tino who gladly shares Alamid Coffee while selling small packs to be brought home. 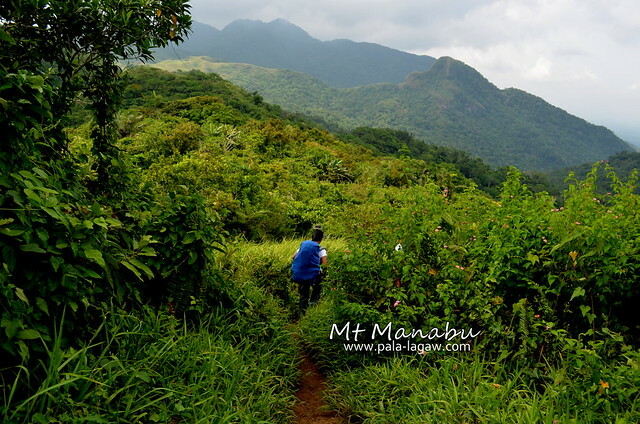 Mt Manabu is derived from the term “Mataas na bundok”, flanked by the Mountains of Susong Dalaga and Malipunyo, peaks of Malepunyo mountain range. Although Mt Manabu is to be part of Santo Tomas, you are coming in straight from the Lipa City. The locals are very friendly starting from the outpost of Brgy Santa Cruz where registration is done before entering the peripherals of the mountain at Php 20.00 per pax, get ready with the distinctly heavy Batangueno accent and maybe if you get the chance to talk to some locals you’ll learn words unique for the local dialect. You can hire guides from the outpost, who can also serve as porter if you find your packs too heavy while on the trail. Guide fee is at Php 500.00 per guide hike up and vise versa. Hiring a guide is not necessary if you have someone in the team who had been here before, the trail is pretty straight forward but can be daunting if done at night, hence a guide is helpful at night to avoid getting lost in the heavy thickets of trees especially in the grotto trail. There are also trails that lead to traversing the mountain range itself, so it would be better to ask for instructions in the outpost or a few of the locals housed along the trails. 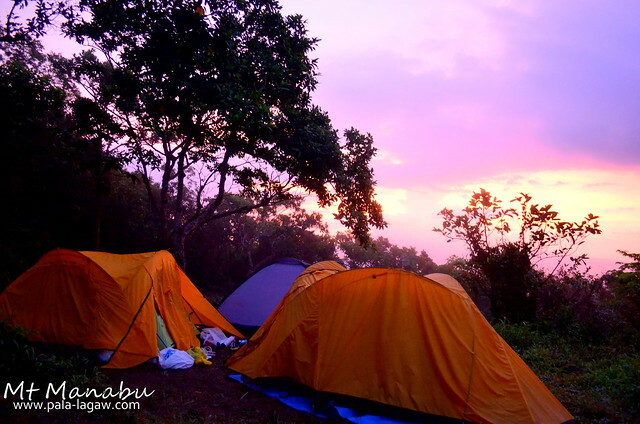 You’ll know you have reached the summit of Mt Manabu once you get to the life sized white stone cross, and just a few meters below it is a campsite that looks like a glen of open gardens with scattered bushes. Take a road trip with your buddies down south of Manila to Lipa City, Batangas, turning left from The Floral Garden Cemetery passing through Fiesta World Mall (this mall looks more like a warehouse) going straight until you reach the bridge, beyond it on an elevated road turn left after the rotunda until you reach the crossing with a marker at the center that say Welcome To Brgy Sta Cruz, Sto Tomas, on the right side if the road if the Brgy Outpost where you can register. From there, if you intend to hire a guide, they can join you until you reach the jump off site in Sulok where your vehicle can be parked. It is marked by NPC’s banner of Mak-Ban Watershed welcoming mountaineers and hikers. Planning on commuting is fairly easy, take a Lipa bound bus from bus terminals along LRT Buendia. Remember that Fiesta World Mall can be your marker. Once in Lipa, tricycles abound, take one to bring you to Fiesta Mall or you can take a walk of 5-10 minutes until you reached the mall. You can buy some much needed things for the climb in the mall. You can hire a tricycle to bring you to Sulok, Brgy Sta Cruz with instructions for a stop at the Brgy Sta Cruz outpost for registration, tricycle drivers would normally charge up to Php 120.00 depending on the agreed fees so you better bring much of your haggling skills. 18:45 – Manabu Camp Site. Pitch tent. 05:00 - Wake up. Coffee. Haven't climbed this peak, and I'm loving what I see here. Healthy green foliage around. Its like a nice garden at the summit Gay! Wow, looks like you guys are having fun huh. My friends are fond of mountain hiking and they do it at least twice a month or so. How I wish I can join them real soon. This place is very familiar to me because I am from this side but never been up that mountain. I've only been to Mt.Makiling, anyway hoping to see this one if I can still manage to trek. I haven't tried parking for a long time. The last one was when I was in Grade 5 and it was in Camp John Hay. I would like to try an adventure like this too. hey Franc.. I hope you are referring to Camping. My friends and I day hiked this mountain just last month. It was better than the other mountains I've climbed because of the forest and cloud cover which made the heat of the sun more bearable. Yes! the climb and the feeling of reaching up a summit is not something that can easily be written in a blog..
its different with every mountain you climb. I haven't tried this kind of adventure hope that very soon i can go with my friend climbing like this mountains. What's the brand and model of the camera you have used here? Ang Ganda! Alamid coffee is I think very expensive, and mukhang kumota kayo sa aklamid coffee dyan ah. hehe... Mt. Manabu is indeed a must climb mountain. Conquering mountains is a strong feat but congrats to all of you for returning safe and sound. I see you really have fun and enjoyed mountain climbing for you can appreciate the beauty of nature at the peak and enjoy the company of fellow hikers. 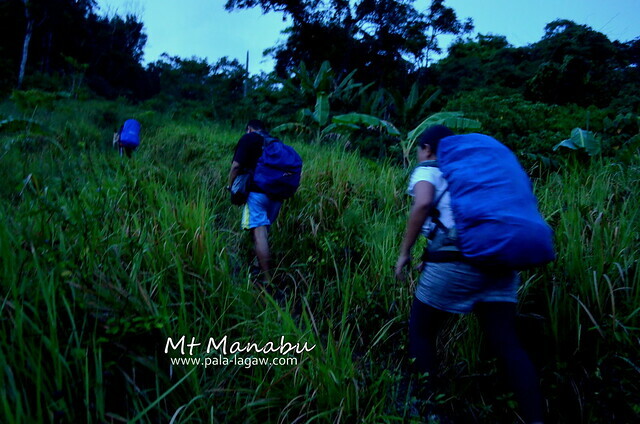 I climb Mt Manabu in the middle of summer.. It rain along the trail, but its not very cold. mg ookupa ka ng tricycle nyan, so depende sa usapan. Kadalasan, Php 120 - 150 yung bayad. depende kung ilan kayo. hangang 4 pax yung tricycle. Hi Kathy, mg uukopa ka ng tricyle..
depende sa usapan nyo ng driver. hangang 4 pax ang tricycle ride. okie po,nakapunta na po kami manabu and khit magisa ka lng sa tri ehh 100 lng pla tlga ang bayad..tnx po sa info sir..
hi sir ano po mas okay na view, batulao or manabu? thanks. The differience po ay grassland and open ang trail ng Mt Batulao, with the Tagaytay weather.. maganda ang views sa Mt Batulao. Ang Mt Manabu naman po ay part ng isang Mountain range sa Batangas, nasa gitna eto. Although maganda din ang view, its like a garden, with canopies and varried plants. Parang kang nasa forrest sa ibang part ng trails. This sneak-peak is a lot helpful! Any add-on tips? Hehe. Excited for this hike! 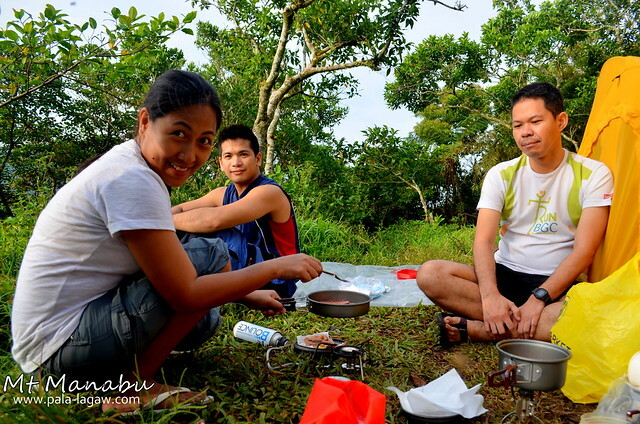 sir,any suggestion po na mag dayhike itenerary dito...thanx po nang marami! You can adjust the itinerary..
Mt Manabu is good for dayhike, just consider the transpo time.